So now I get to begin my postings about my trip to Walt Disney World & all the magical things that happened there. 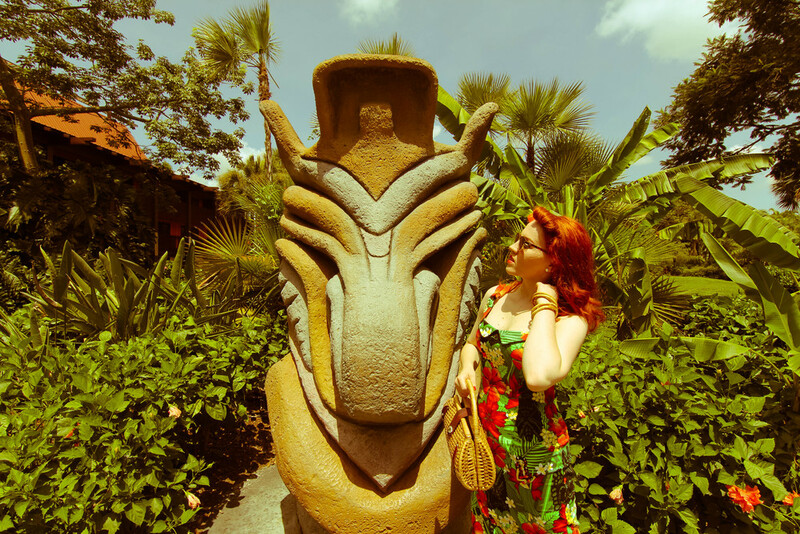 Now some of you may know that I worked in a particular kitchen where my coworkers felt like Ohana and the resort I worked at Polynesian themed (wink wink nudge nudge). I was part of the Disney World Culinary Program (DCP). Now that in itself could be a completely separate blog post and I shall delve into that later. As soon as I booked my plane tickets, I knew a lot of my time would be spent visiting the people I worked along side for 3 months. 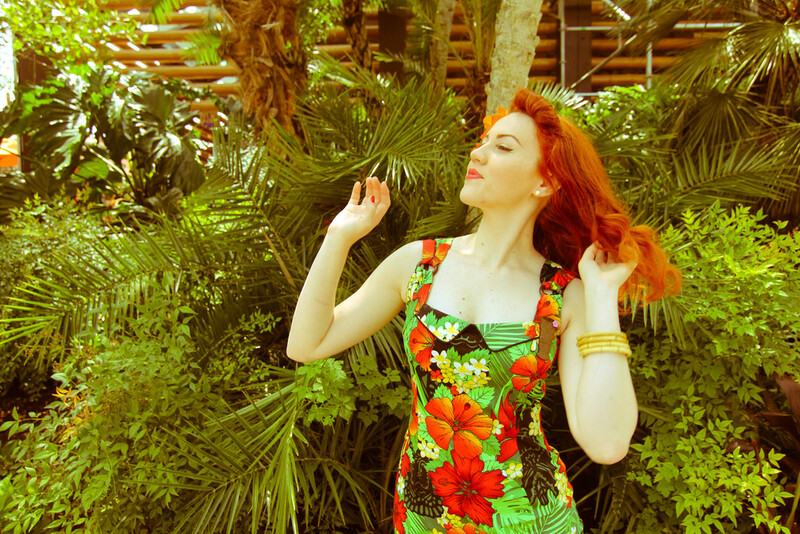 I also knew I would need a tropical dress! I looked high & low, I wanted it to be PERFECT. 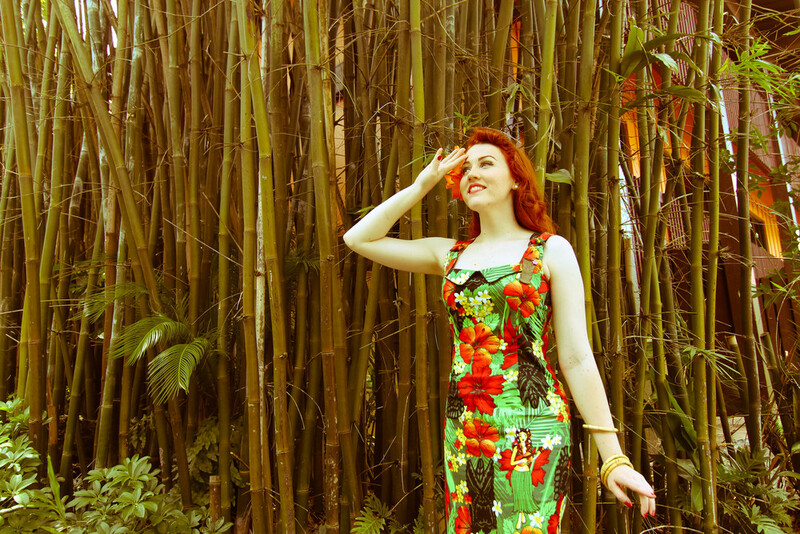 Then a wish came true (very much in the Disney style) & VooDoo Vixen sent me there Maggie May Dress in all it’s tropical glory. The colors were bright! It had tiki’s on it (which I grew to love while on my internship)! 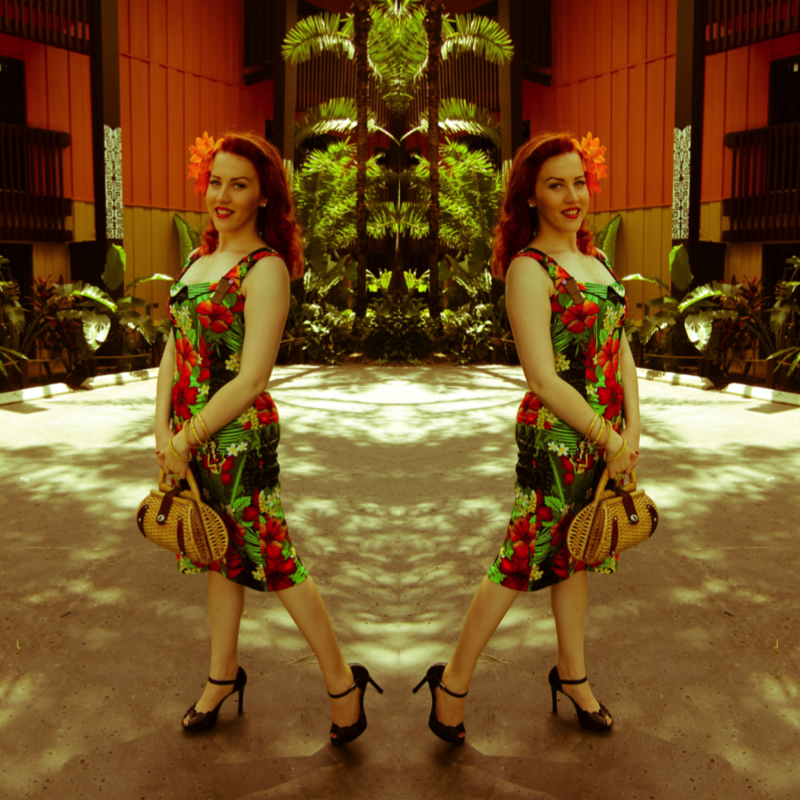 Beautiful flowers (which matched with my perfect NicCoCoCreation’s flowers) & even Hula Girls! It was the dream dress I searched for, but never found until then! So just as a precaution, I did have to get it altered, mostly it was because I wanted it a little tighter around my waist. However, I truly suggest making sure (especially if you’re in the US because this is a UK brand) to measure yourself before ordering. Sounds like an easy enough things to do, but how many of us trying to just go off the conversion chart. Oh, just me……well I now own a measuring tape so never again will I get the wrong size (well at least I hope). Now as for the accessories! I want to make a shout out to someone all modern day pin ups should know by now. @Niccococreations for her talented artwork through flowers. I interacted with her twice trough Etsy & she responds so quickly & truly seems to care about each one of her designs. So I searched everywhere for bamboo bangles or bamboo earrings! No where! 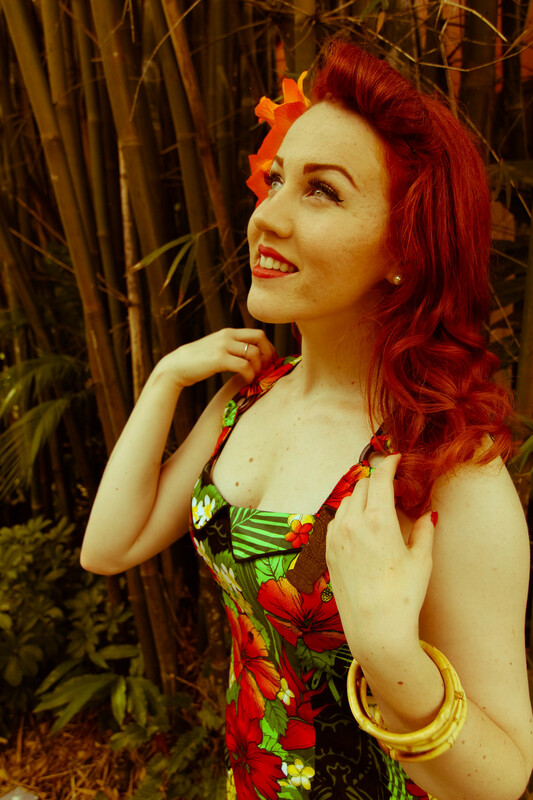 Well I mean places had them, some of your favorite pin up sites have them, but alas it’s summer & they’re all sold out! When I felt like giving up, I found this person on Etsy. They shipped it fast, they have lots of different colors & really & truly it’s all very reasonable! CONGRATULATIONS ON ONE YEAR MATCH! An extra little story, basically for my own memories sake! Thank You! <3 Loving your website too! <3 You. Are. Stunning! This is an adorable outfit and you are also. Also the story about asking if you are Ariel is WONDERFUL! And yes you should try out for that! I found it and it seems I have already commented! THIS IS JUST ADORABLE. I wouldn’t mind a dress something like that myself. You look positively stunning in it!